You can focus on you and we will focus on your colour. 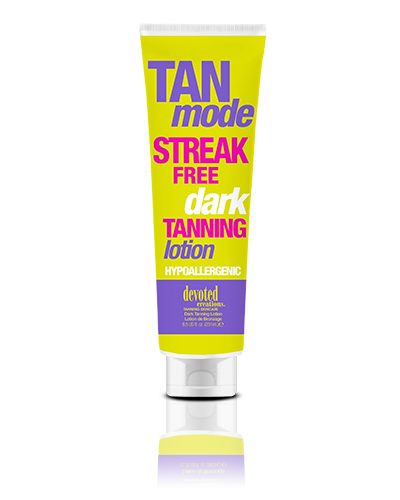 Let our streak-free bronzing formula put your skin into: Tan Mode™! Deep, dark tanning results, extra hydration, along with skin toning and firming ingredients make "Tan Mode™” your perfect tanning partner. Formulated without the use of glutens, oils, and parabens this hypoallergenic formula is suitable for all skin types. Everything you need, with nothing that you don’t. For dark quick colour, get into the mode… The Tan Mode™. DHA Free, Natural, and Cosmetic Bronzers. Gluten Free / Paraben/Oil Free. DHA free natural bronzer and cosmetic bronzers leave you streak-free and stain-free.